Rim Country Real Estate is here to serve you with over 40+ years of combined Real Estate experience in Arizona. We are here to assist you seven days a week to help you with all your real estate needs. Rim Country Real Estate works throughout Arizona, however specializing in vacant land sales, working with investors and home builders in Payson, Gila County and the Rim Country. Accent Realty offers a rare niche in Chaparral Pines and The Rim Golf Club communities with new builds, re-sale, and lots to build your dream home! Our sellers trust our marketing focus and insights, whether it is to sell an exclusive Chaparral Pines or Rim Golf Club Estate. Rim Country Real Estate will work with buyers whose visions range from a Rim view site, Golf Course lot, to a perfect vacation home retreat nestled in the quiet peaceful pines! Share your goals and dreams with Rim Country Real Estate, and we will help you obtain them. 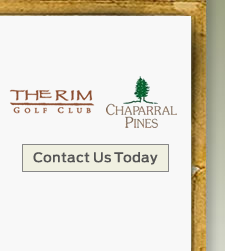 As a dedicated real estate professional, Rim Country Real Estate's top Realtor® Stephanie Waugh resides full time in Chaparral Pines, and has a great understanding for the communities, and all the amazing amenities Chaparral Pines and The Rim Golf Club has to offer, and trust us... There are a lot! Chaparral Pines and The Rim Golf Club both offer a wonderful Country Club lifestyle; Chaparral Pines has a large Club swimming pool, jacuzzi, kids play area, dog park, hiking trails, and gym that offers weekly activities. The Rim Golf Club has stunning views of the Granite Dell Mountains, Diamond Point Mountains, and the top of the Rim. Chaparral Pines also has a beautiful Club house with killer views, and one truly amazing golf course.